Please note that you need to carry the IMG ticket all the times during your visit. 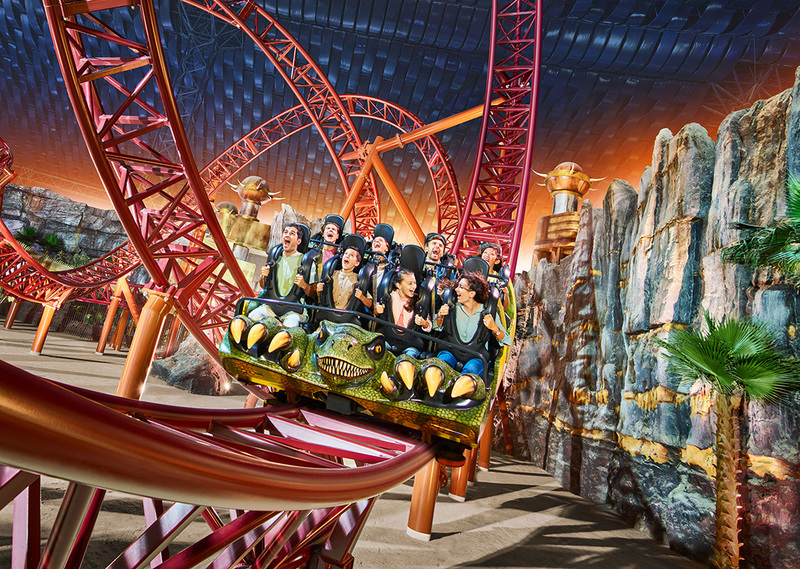 Step into the world of IMG at this mega themed entertainment destination and visit four epic adventure zones: Cartoon Network, MARVEL, IMG Boulevard and Lost Valley - Dinosaur Adventure. You’ll experience a variety of adrenaline-pumping roller coasters, thrill rides and spine-tingling attractions based on popular characters. IMG World of Adventure offers visitors access to world-class rides and attractions, exclusive dining venues and a state-of-the-art cinema and much more! There are many things to look out for at the IMG World of Adventure! Two of the four zones are themed after the famous global brands such as Cartoon Network and MARVEL. The two other zones were created by the IMG Group and are IMG Boulevard and the Lost Valley – Dinosaur Adventure zone. The attractions that you can find in the park vary from adrenaline-pumping thrill rides and rollercoasters to attractions that include Cartoon Network characters and MARVEL superheroes. You can also find a state of the art cinema with 12 different screens, the world’s first themed retail stores, and unique and impressive dining venues. A disability access pass is available at all ticketing kiosks. Be sure to bring a medical letter of proof of disability to receive the disability access pass. A taxi and private coach area is conveniently close to the entrance of IMG World of Adventure. From there on, take a taxi for the short remaining distance.